Good quality NW forage is an essential part of a balanced diet. All of our hay is quality eastern Washington grown. Our barn is filled with rich leafy alfalfa, lush orchard alfalfa mix (95%/5%) and great timothy, both in size and quality. Straw has many uses such as ground cover, bedding, target practice, seasonal displays and more. 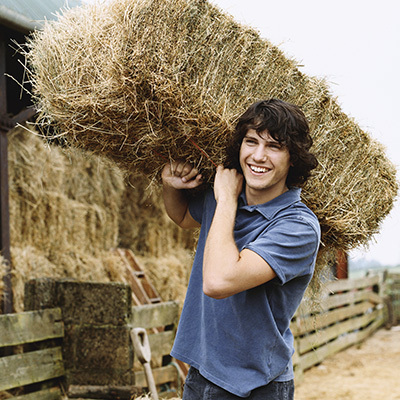 During the popular harvest time, we are happy to rent straw bales for displays or parties for a small restocking fee. Call store for details.